Bob Dylan and his artistic accomplishments have been explored, examined, and dissected year in and year out for decades, and through almost every lens. Yet rarely has anyone delved extensively into Dylan's Jewish heritage and the influence of Judaism in his work. 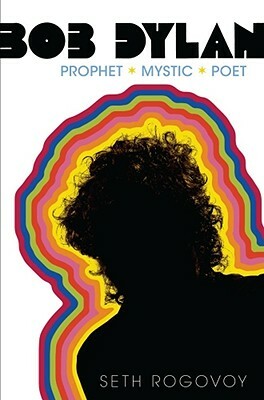 In Bob Dylan: Prophet, Mystic, Poet, Seth Rogovoy, an award-winning critic and expert on Jewish music, rectifies that oversight, presenting a fascinating new look at one of the most celebrated musicians of all time. Rogovoy unearths the various strands of Judaism that appear throughout Bob Dylan's songs, revealing the ways in which Dylan walks in the footsteps of the Jewish Prophets. Rogovoy explains the profound depth of Jewish content -- drawn from the Bible, the Talmud, and the Kabbalah -- at the heart of Dylan's music, and demonstrates how his songs can only be fully appreciated in light of Dylan's relationship to Judaism and the Jewish themes that inform them. From his childhood growing up the son of Abe and Beatty Zimmerman, who were at the center of the small Jewish community in his hometown of Hibbing, Minnesota, to his frequent visits to Israel and involvement with the Orthodox Jewish outreach movement Chabad, Judaism has permeated Dylan's everyday life and work. Early songs like "Blowin' in the Wind" derive central imagery from passages in the books of Ezekiel and Isaiah; mid-career numbers like "Forever Young" are infused with themes from the Bible, Jewish liturgy, and Kabbalah; while late-period efforts have revealed a mind shaped by Jewish concepts of Creation and redemption. In this context, even Dylan's so-called born-again period is seen as a logical, almost inevitable development in his growth as a man and artist wrestling with the burden and inheritance of the Jewish prophetic tradition. Bob Dylan: Prophet, Mystic, Poet is a fresh and illuminating look at one of America's most renowned -- and one of its most enigmatic -- talents.